Buenísimos resultados de los últimos años y del trimestre publicado el 28 Octubre. practicamente deuda cero, roa , roe elevados. Sigo dentro. Ahora está corregida para los que quieran entrar. El oro vuelve a subir y la empresa gana pasta. Per 14. Considering Earnings Growth, Is The Market Undervaluing Northern Star Resources Limited (ASX:NST)? With a history of sound earnings growth, Northern Star Resources Limited’s (ASX:NST) valuation appears to be in the sweet spot as the company sports a PE ratio of 13.3, while the market agrees on placing its industry at a PE of 32.4. How does Northern Star Resources fare in relative valuation? One of the easiest ways to compare a company’s valuation relative to its industry is the PE ratio. While there is no set definition of what an acceptable PE should be, popular opinion is that a value of over 30 may get you in trouble. But there are always exceptions, such as high growth potential companies, primarily in the technology sector. Investors pay well beyond the 30-mark based on their steep growth projections. Industries have different profitability due to inherent differences in their business models, as a result, price-to-earnings ratio is more of an industry specific measure. As Northern Star Resources’s price-to-earnings of 13.3 lies below the industry average of 32.4, either NST is losing out to other companies or the market has mispriced the company. But answers to questions like how it has performed in the past versus the industry and how the analysts covering company view the earnings going forward may just help put its valuation in the right perspective. The focus of investing community shifts to a company’s bottom-line after a few years of operations. No matter how much it grows the sales, it’s the bottom line which decides the payback period and return on an investor’s investment. NST delivered an impressive annual average earnings growth rate of 37% over the past five years. Its past growth rate would easily lie in the upper-end of the most mature and late-stage-growth industries. Apart from the sound long-term track record, Northern Star Resources recorded a higher earnings growth of 49.9% during the past 12 months compared to the industry average of 29.1%. That indicates it has a competitive advantage with respect to the other companies in the industry. As different industries are affected by the economic cycle and they may perform well during a specific phase, it’s interesting to note how a company under consideration fares in that industry. What are the future expectations? Any firm’s profitability can be adversely, or favourably, affected by both the actions of the firm and changes in the environment it operates in. Inside the firm, the management is a key consideration when trying to work out forward looking performance figures. Savvy investors do analyse all the contingencies related to a company. But analysts, who are also seen interacting with the management on a regular basis, provide estimates using in-depth analysis of factors affecting the company. The mean of these estimates can be considered a fair representation of a company’s performance going ahead. Investors in Northern Star Resources have been patiently waiting for the uptick in earnings and if you believe the 8 analysts covering the stock then the next 3 years will be very interesting. The estimates for earnings per share range from $0.46 to $0.73 with an average expectation of 96.4% growth. Considering Northern Star Resources’s track record, expected earnings growth, and the price-to-earnings ratio, it appears to be trading at a reasonable valuation. There are other fundamental considerations related to its balance sheet and dividend history, which may change an investor’s perspective – See our latest analysis to find out! Investors! Do you know the famous “Icahn’s lift”? Noted activist shareholder, Carl Ichan has become famous (and rich) by taking positions in badly run public corporations and forcing them to make radical changes to uncover shareholders value. "Icahn lift" is a bump in a company's stock price that often occurs after he has taken a position in it. What were his last buys? Click here to view a FREE detailed infographic analysis of Carl Icahn’s investment portfolio. What are analysts saying about Northern Star Resources Limited’s (ASX:NST) future? Northern Star Resources Limited (ASX:NST)’s business is predicted to grow 30.1% during the next year. Are you considering investing? Then keep reading. I’m going to investigate the latest data and look into some metrics you shouldn’t overlook. How is Northern Star Resources going to perform in the future? Investors in Northern Star Resources have been patiently waiting for the uptick in earnings and if you believe the 7 analysts covering the stock then the next 3 years will be very interesting. The estimates for earnings per share range from $0.46 to $0.73 with an average expectation of 94.7% growth. Revenue during the same period is expected to grow from $785 Million to $1,006 Million in 2020 and profits (net income) are predicted to grow from $151 M to $304 M in 2020, roughly growing 2x. Margins are expected to be extremely healthy during this time as well. Northern Star Resources has outperformed the average growth in earnings of the Materials industry over the past year. NST has been performing exceptionally based on an ROE of 42.7%, this is above the average for the industry of 12.58%. Investors can also expect the performance to continue around this level with the estimated ROE in 3 years staying at 32.6%. Yo me baso más en la fortaleza de la compañía, ratios, balances, pero para los amantes del técnico, pienso que ahora ha roto los 4 dólares y parece ir buscando los máximos del pasado año. Northern Star Resources Limited (ASX:NST): Will the growth last? Northern Star Resources Limited (ASX:NST)’s business is predicted to grow 38% during the next year. What are the important facts you need to know? In this article we will look at the latest data and analyse the future performance of this growth stock in more detail. Está dentro de los criterios de Joel Greenblatt, alta ganancia precio (per bajo) y gran rendimiento del capital. Alto Roe, roic. How Does the Magic Formula Rank Stack Up For Northern Star Resources Limited (ASX:NST)? Northern Star Resources executive chairman Bill Beament says he hopes the gold miner's new 10-year production plan will "well and truly put to bed" persistent concerns in the market about the company's mine life. The gold miner unveiled a tripling of gold reserves across its land holding on Thursday, which will result in higher annual production and longer lives for its assets. 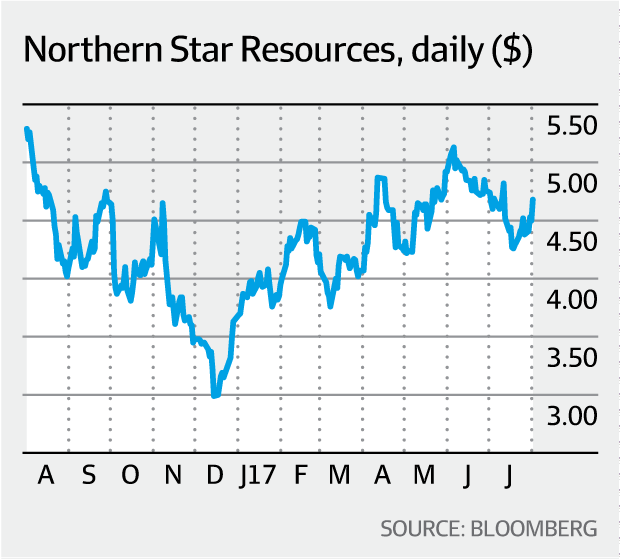 Northern Star mapped out a 10-year production plan to help give the market more confidence in the sustainability of its asset base, amid ongoing concerns from analysts about a lack of long-term visibility. 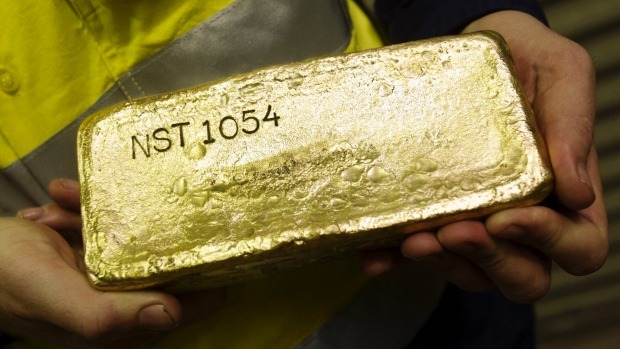 Driven by increased production from its two key operations, Kalgoorlie and Jundee, Northern Star plans to increase production from 525,000 to 575,000 ounces of gold this financial year to 550,000 to 600,000 ounces in fiscal 2019 and 575,000 to 625,000 ounces from 2020 onwards. The miner said this could increase to more than 700,000 ounces a year, if it has exploration success at its third operation, Paulsens, and pushed ahead with the development of its Central Tanami project in the Northern Territory from about 2021. "I think our shareholders got over our mine life issue 12 to 18 months ago but this now to me is the final piece for the wider investment community," Mr Beament told The Australian Financial Review. "This well and truly puts it to bed." The dramatic increase in reserves has been driven by Northern Star's focus on exploration around its existing assets over the past three years. A $150 million spend in that time has delivered the miner an additional 4 million ounces of gold reserves at a cost of $37 an ounce and 7 million ounces of resources at a cost of $21 an ounce. 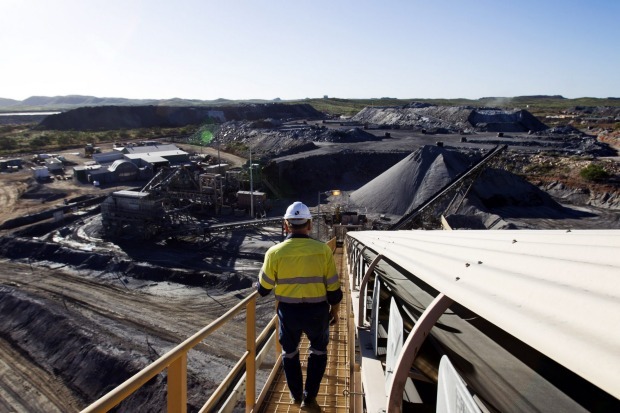 RBC Capital Markets analyst Paul Hissey said the "strong" increase in reserves should "address persistent questions around mine life from its key assets at Jundee and Kalgoorlie". "This, along with the strong cash margins and balance sheet strength, should be sufficient to entice fresh investment for generalists seeking domestic gold exposure," Mr Hissey said in a note to clients. Northern Star is hosting a strategy day with analysts and investors on Saturday, which Argonaut analyst James Wilson said should provide more clarity on how the increase in reserves will translate to greater production volumes, particularly at Kalgoorlie where processing capacity is a potential bottleneck. "Overall it is a great result and it really does reflect the significant spending they have put into exploration and the returns they are going to get out of it will be a lot more than what they have put in," Mr Wilson said. Shares in Northern Star closed up 4 per cent or 18¢ at $4.67 per share. It came as ASX-listed gold junior Red 5, which has a market capitalisation of about $28 million, revealed it had inked dual agreements to acquire two gold assets in Western Australia. Red 5 will pick up Gold Fields' Darlot gold mine for $18.5 million in cash and shares as well as the King of the Hills project from Saracen Mineral Holdings for $16 million in cash and shares. The projects are about 80 kilometres apart. Red 5 said the deals, to be part-funded via a rights issue, would provide immediate production and cash flow, offered good growth potential and set it up to utilise Darlot as a hub to process ore from other gold deposits in the region. S&P/ASX 200 (Index: ^AJXO) (ASX: XJO) leaderboard today after if flagged it would lift its gold production rate to 600,000ozpa in calendar year 2018. This compares to previous guidance for production of 525,000-575,000ozpa at A$1,000 – A$1,050/oz for FY 2018. As a result of the improved forecast Northern Star advanced 4 per cent to $4.67 today, with the miner flagging a tripling of estimated reserves to 3.5 million ounces. Its Jundee and Kalgoorlie operations in WA both expanding their inventory and production capacity estimates. The majority of Northern Star’s operating costs are incurred in Australian dollars, while it sells its gold in U.S. dollars, which means it is a beneficiary of a stronger U.S. dollar. However, as cash rates rise in the U.S. the gold price may suffer as gold produces no income and may become less attractive to investors who could park their money in cash as an alternative and receive growing risk-free interest payments. According to The Financial Times the 14 analysts covering Nothern Star have a median share price target of $4.63 on the business, with a high estimate of $5.10. Is NST’s level of debt at an acceptable level? A substantially higher debt poses a significant threat to a company’s profitability during a downturn. For NST, the debt-to-equity ratio is 1.75%, which indicates that the company faces low risk associated with debt. Can NST meet its short-term obligations with the cash in hand? Debt to equity ratio is an important aspect of financial strength. But if the company has a substantial amount of cash on its balance sheet, that should allay some fear of a debt overhang and increase the chance of meeting upcoming liabilities. In order to measure liquidity, we must compare NST’s current assets with its upcoming liabilities. Our analysis shows that NST is able to meet its upcoming commitments with its cash and other short-term assets, which lessens our concerns for the company’s business operations should any unfavourable circumstances arise. NST’s ability to meet its short-term liabilities is an indication of financial strength. Its debt level is also relatively low, which reduces some risk for the company and its investors. Now that you know to keep debt in mind when putting together your investment thesis, I recommend you check out our latest free analysis report on Northern Star Resources to see what other factors for NST you should consider. Northern Star Resources (NST) reported a slightly better than expected record net profit result of $215.3 million, up 42% on the prior year. The headline profit result included the 26.4 million from its Plutonic mine sale in October 2016. Buen tirón, el oro ha roto los 1300 y las mineras de oro van al alza. Esta empresa no tiene deuda, tiene cash y aún con per 15. En el último resultado hace unas semanas han mejorado doble dígito los beneficios y record de producción. Otro tirón y a punto de batir los máximos históricos.